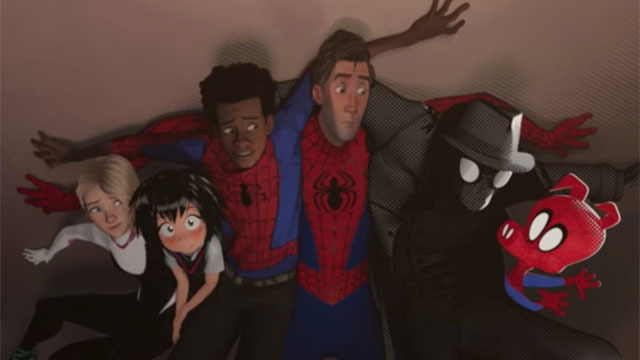 The success of Spider-Man: Into the Spider-Verse is largely indebted to the arachnid-powered characters who made their theatrical debut in last month’s hit film. The film also found time to pay homage to cinematic iterations of Peter Parker that came before. Fans of Sam Raimi’s original trilogy could easily spot references to scenes from the movies led by Tobey Maguire’s Spider-Man. However, according to co-director and co-writer Rodney Rothman, the references to earlier films were almost more obvious than this. Rothman recently appeared as a guest on The Q&A with Jeff Goldsmith (via ScreenRant) to discuss the amount of work that went into creating Into the Spider-Verse. At one point, the director revealed that he crafted a scene that would have united all three live-action Spider-Men. Obviously, their cameos didn’t make the final draft. Rothman previously stated that the filmmakers considered enlisting Maguire to voice the older, schlubby version of Peter Parker before Jake Johnson was cast. Some viewers theorized that Maguire’s and Johnson’s Spider-Men were one and the same. But thanks to this new bit of info, it’s probably safe to assume this wasn’t the producers’ intention. Would you have enjoyed seeing Tobey Maguire, Andrew Garfield, and Tom Holland team up for an Into the Spider-Verse cameo? Tell us what you think in the comment section below!